Polycystic ovary syndrome (PCOS) is a leading cause of infertility in women. Each year more and more women are diagnosed with this metabolic disorder. 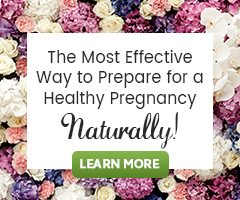 Fortunately, there are many natural therapies that have been found to be very effective in helping these women get it under control and go on to achieve pregnancy, carry to term, and lead a healthy life. To help you combat PCOS and achieve your fertility and health goals, we have compiled our best articles on natural treatment options. This is a gem of a resource guide, so make sure to bookmark it for future use. Not all women with PCOS are overweight; in fact, many are lean. Here are the most important natural health tips for women with lean PCOS. PCOS is a leading cause of infertility with multiple presentations. The challenge in keeping the current name, is that no two cases of PCOS are the same. Understanding the various presentations of PCOS and how those variations affect treatment options. How to make fertility smoothies PCOS-friendly by choosing low glycemic fruits, good fats, plant-based proteins, and fertility superfoods. Simple food choices women with insulin resistant PCOS should make to greatly improve the likelihood of conception and a healthy pregnancy. Saw Palmetto may be a natural option for women with Hirsutism due to PCOS fertility issues. Did you know Cinnamon has useful benefits for fertility? It has been used for years to curb heavy menstrual bleeding (menorrhagia), including heavy bleeding due to endometriosis and uterine fibroids. Over the last 10 years, it has been used to aid women with insulin resistance associated with PCOS and those with type 2 diabetes. Did you know that high blood glucose levels in women with diabetes and insulin resistant PCOS can prevent an embryo from implanting in the uterus? Exploring what the research has to say about the use of D-Chiro-Inositol for the treatment of PCOS and determining how it may benefit you. Studies have shown that supplementing with the antioxidant NAC may help women with PCOS or those who have experienced recurrent miscarriage, have a healthy pregnancy. Boost fertility health with positive visualizations and mind body therapies while trying to get pregnant with PCOS infertility. Sharing positive reinforcement and emotional support for women with PCOS infertility. It’s okay to give yourself a break and take time to take care of you! Addressing questions about getting pregnant with PCOS. Learn the best steps to consider taking when trying for a baby while living with PCOS. Are you wondering about progesterone cream use for pregnancy or for PCOS? What about herbs for PCOS symptoms? Learn more in this Fertility Q&A. Polycystic ovarian syndrome or PCOS can be treated naturally through diet and herbal remedies to help optimize your fertility and health. This study reviews risks associated with PCOS that threaten a healthy pregnancy, including miscarriage, gestational diabetes and small-for-gestational age baby. Study shows lower testosterone levels and improved insulin resistance in women with PCOS who eat breakfast. Understanding how insulin resistance can lead to an overall hormonal imbalance, and recognizing ways to resolve the problem. Diana had been living with PCOS, but didn’t know it for many, many years. Once she found out, she took important steps to prepare her body for a healthy pregnancy. We are thankful to offer helpful information and hope! Have you discussed not being hungry with your doctor or a nutritionist? This may help! Further testing may be necessary to help determine a cause whether physical or emotional. Have you considered trying digestive bitters before a meal? One great way to consume amazing fertility foods and nutrients are Fertility Smoothies. This could be one way to approach beginning to eat better. Consider learning more from our guide to PCOS Fertility Smoothies. Do also consider a whole food multivitamin, such as Fertile Woman One Daily, and quality omega supplement like Cod Liver Oil as you begin to make dietary changes. I have heard so many healthcare practitioners, both medical and natural, who have seen PCOS remedied from dietary changes alone. If we might offer more specific support taking into account your needs, we would be happy to work with you through a Fertility Consultation. Just to update this comment. I changed my diet completely was consuming a significant amount of calories a day I jumped from consuming about 400 a day to 1300 a day and December 15,2016 I found out I was pregnant unfortunately we lost it a week after finding out but that i had been pregnant for 8 weeks and never knew it. Im holding onto hope that we get our baby soon, we got pregnant and even though we lost it, thats the first step to get our miracle baby after a doctor once told me it would be next to impossible. Diet is more important than anyone thinks and this example just shows that. Have you talked to your doctor about why this is happening? Did your diet or exercise routines change after marriage? Did you gain weight? Is there any indication of infection or STI? Learn about natural remedies to help treat menstrual cramping when it is happening, remedies and mind/body practices for long-term menstrual cramp relief in our guide Natural Remedies for Painful Menstruation.